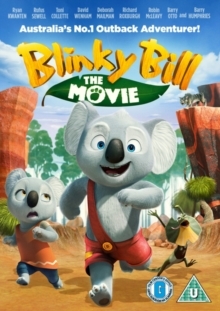 Australian children's animation following the adventures of young koala Blinky Bill (voice of Ryan Kwanten). Devastated by the disappearance of his father Bill (Richard Roxburgh), Blinky leaves his home in Green Patch and heads off to the outback to find him. Joined by fellow koala Nutsy (Robin McLeavy), a lizard named Jacko (David Wenham) and emus Beryl and Cheryl (Toni Collette), Blinky soon discovers the dangers of the wild outback as he encounters many enemies and is stalked by hungry, feral cat Sir Claude (Rufus Sewell).